Michael Kornfeld of Huntington has been elected to serve on the board of directors of the 3000+-member Folk Alliance International, an organization that aims to foster and promote multicultural, traditional and contemporary folk music, while strengthening and advancing organizational and individual initiatives in folk music, dance and related performing arts through education, networking, advocacy, and professional and field development. He will be formally installed as a board member during the organization’s annual conference in Kansas City, Feb. 19-23. 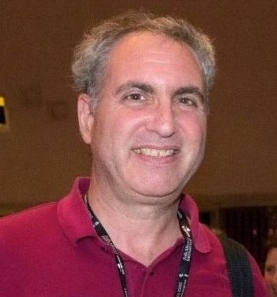 Noting that his desire to broaden representation of Folk Alliance International’s constituencies on its governing board was the prime motivator behind his candidacy, Kornfeld looks forward to sharing his insights and perspectives with his new colleagues. An award-winning communications and public relations strategist, Kornfeld also is editor and publisher of AcousticMusicScene.com — an online publication for the folk, roots and singer-songwriter communities in the U.S. and Canada.. He is president of the Folk Music Society of Huntington, a volunteer-run nonprofit organization that presents two concert series a month, hosts monthly folk jams, and co-presents an annual day-long folk festival in partnership with the Huntington Arts Council. Kornfeld also is a six-year board member and past vice president of the Northeast Regional Folk Alliance, Folk Alliance International’s largest regional affiliate (covering the Northeast and Mid-Atlantic States, as well as eastern Canada). He has co-coordinated NERFA One-Day Mini-Conferences and forged a locally heralded arts partnership between FMSH and Huntington’s Cinema Arts Centre. A frequent speaker at music conferences, Kornfeld also organizes and hosts artist showcases at several conferences and festivals each year. A Phi Beta Kappa graduate of Stony Brook University and a recipient of its Distinguished Community Service Award, he also is a past president of both the New York chapter of the International Association of Business Communicators (IABC) and Public Relations Professionals of Long Island (PRPLI). A former contributing writer for The New York Times, Kornfeld also served on the board of the Press Club of Long Island chapter of the Society of Professional Journalists for 15 years.